Since 2006, Julie has been helping people discover the obstacles in their lives preventing them from achieving their organizational goals. Her business, based in North Central West Virginia handles organizing problems of both businesses and individuals. Julie's clients find her experienced, knowledgeable, professional, and creative. She starts with a practical approach and uses proven methods for helping her clients achieve order and success in their lives. Not only does she provide hands-on organizing help, she also strives to reach a larger audience through energetic and informative presentations. Her presentations are highly sought after by professional businesses throughout the Mountain State. Julie is a member of the National Association of Professional Organizers (NAPO), the Institute for Challenging Disorganization (ICD) and BNI-Mountaineer Chapter. 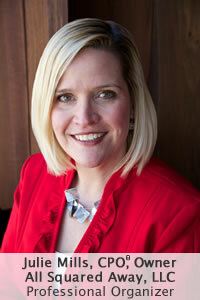 Julie is a Certified Professional Organizer, a high distinction in the organizing industry. "I find great joy in helping others. I am committed to helping clients learn to take control of their environment. I pride myself in my work and professionalism. I abide by NAPO's Code of Ethics which means I will guarantee confidentiality regarding our discussions and any work performed by All Squared Away." 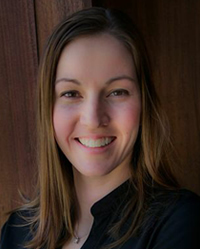 Alexis Allen joined the All Squared Away team in September of 2014. Originally from Maryland, Alexis recently relocated from Seattle, Washington. Alexis studied biology and criminal justice in college and comes from a law enforcement background. Alexis is a powerhouse of ideas, energy, enthusiasm, and skills. She does not shy away from challenges and can use a drill to put any carpenter to shame! Our clients enjoy working with Alexis because of her attention to detail and the fact that she can power through any obstacles that are thrown in her path. Alexis enjoys finding organizing solutions for any budget and hopes to bring her own creativity and ingenuity to the All Squared Away team. When she is not organizing (which is rare) Alexis enjoys spending time with her husband and two children. All Squared Away is a great company. Julie came to help me find not just my desk—my whole office! With her organizational skills and creative ideas for storage, the floor soon appeared followed by the counter and work space. My new desk is twice the size and allows me to keep so many things right at my fingertips as well as looking good. Many thanks, Julie! ~ Donna K.
All Squared Away™ is licensed, bonded and insured.